1. There is NO age restrictions. The buyer can be 70 + years old and eligible for 30 years mortgage term. 2. Gross income is used when qualifying for the loan instead of net-income widely used in Europe. 3. Life insurance is not required. 4. NO pre-payment or redemption penalty. 5. No tax returns are required in some cases. Tax returs may be substituted with employer or accountant income letter. 6. Seller is allowed to pay up to 3% of the purchase price for buyers closing cost. Our minimum 20% down payment foreign national mortgage program enables foreign nationals, NON US residents or employment transferees to place minimum 20% down payment and finance up to 80% of the property value. Most of the lenders still require 50% down payment in order to obtain foreign national mortgage loan but we can arrange financing with as little as 20% down. Seller or developer can give the buyer up to 3% of the purchase price concession towards the closing cost and or prepays. If that is the case most of your closing costs would be covered and you'll be able to invest less money upfront. Borrower must have verifiable funds for the down payment, closing cost and payment reserves. Our 80% LTV mortgage for foreigners does not require Private Mortgage Insurance (PMI) so there is no extra cost. We also offer rate and term foreign national mortgage refinancing with limited to cash out option. This foreign national refinance mortgage is available as a fixed and or adjustable rate mortgage. Adjustable rate are 3/1, 5/1, 7/1 term for 15 or 30 years fully amortized loan. 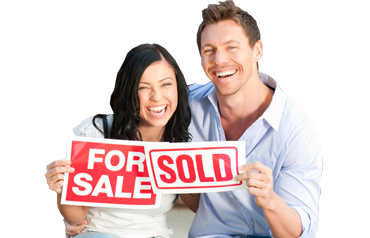 Fixed rate are offered for the 10, 15 or 30 years fully amortized loan. *We can help with Credit reference, CPA or Employer sample letters if needed. Please do not hesitate to call or Contact Us as with any questions you may have. Also, if you wish to pre-qualify for the loan please fill out and submit Quick Pre-Qualification Form on the right. *To instantly pre-qualify for mortgage please apply below! *¹ Add together and include Borrower plus Co-Borrower (if any) annual income. *² Total minimum monthly payments (mortgages, credit cards, car loans etc). Exclude utilities. Copyright 1st-CapitalGroup.com 2019. All Rights Reserved.